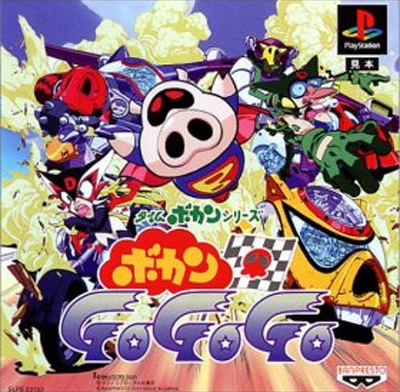 Based on the bizarre Bokan series with its plethora of psychotic pigs, this is a wacky racing title with weapons to slow the leader down and opponents that ensure you won't know if you'll be finishing first or last until you see the checkered flag. 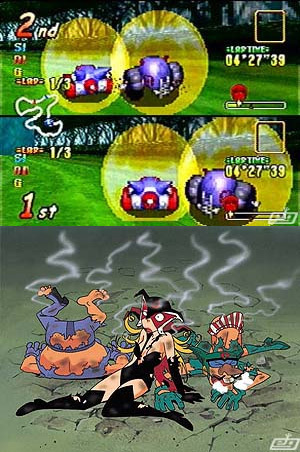 Plenty of mad movie clips from the anime series and gameplay is kept balanced by scoring more points for finishing last, thus allowing bigger spending on upgrades. Second hand. 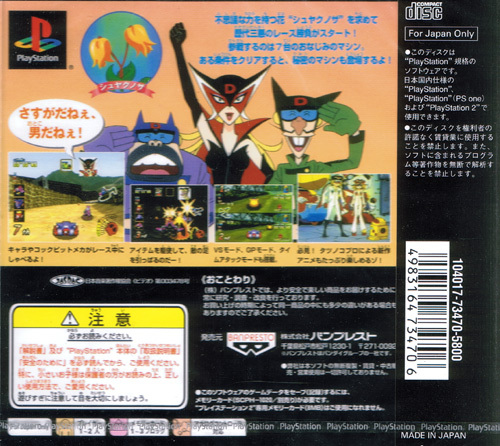 Creasing to the cover and the manual game cover. Small section missing from back edge of manual.